When a woman becomes pregnant, her body deliberately weakens her immune system. While this might seem like a bad thing, there is a reason why this happens. The fetal cells are different from the mother's cells, and the immune system would otherwise attack those non-self cells. By weakening the immune system's response, the body protects the pregnancy. 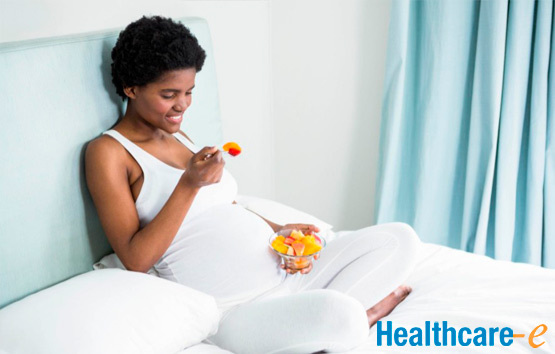 But this does leave expectant mothers more susceptible to common illnesses such as colds, influenza and other illnesses. Fortunately, you can give your immune system a boost by eating these healthy foods. Nuts offer protein, which your body needs a lot of during pregnancy. Nuts such as almonds are also rich in vitamin E and healthy fats. Legumes are another good protein choice. They are rich in fiber, too. The fiber-rich food could help with another common frustration of pregnancy, which is constipation. Meats are naturally high in protein. Trim any visible fat away from the meat. Be sure to cook it well, since pregnant women have a higher risk of food poisoning complications. Eggs could be a good choice for protein if your nausea is triggered by the smell of meat. A simple meal of scrambled eggs with roasted vegetables and a slice or two of whole-wheat toast offers protein, healthy fats, fiber and vitamins. Oily fish is rich in vitamin D. During the wintertime, many people become deficient in vitamin D. This vitamin is responsible for many critical body functions, including immune system activity, bone health and mood. Vitamin D gets your immune system's cells ready to attack bacteria and viruses that do not belong inside of you. Eat one or two servings of oily fish each week. While pregnant, it is important to avoid raw shellfish and raw fish such as oysters or sushi. If you are vegetarian or fish upsets your stomach, try a vitamin D supplement or other foods fortified with vitamin D, such as cereal or milk. Citrus fruits are high in phytochemicals and vitamin C. These nutrients help your body fend off disease. Ideally, consume citrus as the whole fruit. Eating an orange, grapefruit or tangerine in slices provides fiber, too. Garlic is another healthy choice. Fresh garlic is rich in natural antibiotics. If it triggers your heartburn, add it into your diet slowly. Taking a walk after a meal rather than taking a nap can also help with heartburn triggered by garlic, citrus and other acidic foods. Walking also helps with lowering stress. Lower stress levels mean a better-functioning immune system. Choose a variety of fresh fruits and veggies every day. Fruits and veggies have antioxidants, vitamins and minerals that promote immune system health. If you have a grocery budget, stick with whatever is in season, such as apples in October or strawberries in June. Eat fruits and vegetables from every color of the rainbow. Red delicious apples or red bell peppers, oranges, yellow squash, bananas, limes, pears, romaine lettuce, spinach, red grapes, red cabbage and eggplant are all excellent choices. When possible, select fresh vegetables and fruits. Frozen is another good option, especially during times of the year when there are not a lot of fresh fruits or vegetables available.